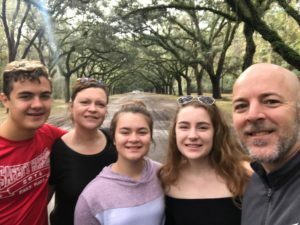 I am married to Teresa and have 4 children: Faith, Will, Sarah Beth, and Anna Lynn. I love hanging out with my wife and our kids and playing any kind of game. I’m a graduate of Valdosta State University with a degree in Organization Communications and have a Masters of Divinity from Asbury Theological Seminary in Orlando. I am also a huge football fan and love the Tampa Bay Buccaneers. I believe God has called me to help others live out their God-given dreams. 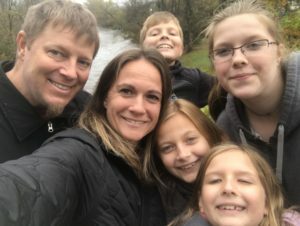 I’ve been blessed to be able to do this with my wife Jennifer and our 3 children, through OurChurch.com (which helps Christians live out their mission online), life groups, missions trips, blogging, coaching and mentoring. B.A. Degree in History, DePauw University. Married to the love of my life, Cheryl. 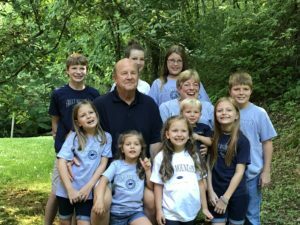 Father of three children, grandfather of nine(6 shown in picture above). I retired from St. Jude Medical in 2004 after a long career in Medical Sales.